[Ian Lee, Sr] wanted to have an educational activity at his younger son’s birthday party. These were uncharted waters for him as he doesn’t remember education taking place at his own early birthday parties. But he came up with a great idea, with was to teach soldering using interactive badges which each guest could assemble themselves. He needed about twenty, so he tried to keep the BOM as small as possible. But that didn’t mean skimping on features. You can see the black LED-type package on the left of the assembled badge above. This is an IR receiver whose counterpart transmitter is on the right side of the board. When two of these get within 6-8″ of each other the start talking back and forth. There is no microcontroller involved, instead the system relies on a multivibrator design. One of the red LEDs at the corner of the ‘smile’ is always blinking. When it is off, the IR transmitter is powered. This is picked up by another badge’s receiver, which lights the second ‘smile’ LED. You can see this happen in the short clip after the break. Although there are relatively few components that went into this, it would take the kids a long time to put them together as they’re just learning. [Ian] and his eldest son soldered on all of the components except for the resistors beforehand. We must admit that we’ve been guilty of using a microcontroller to make two LEDs blink alternately in the past. It’s not the worst transgression, but it stems from our discomfort with analog circuits. 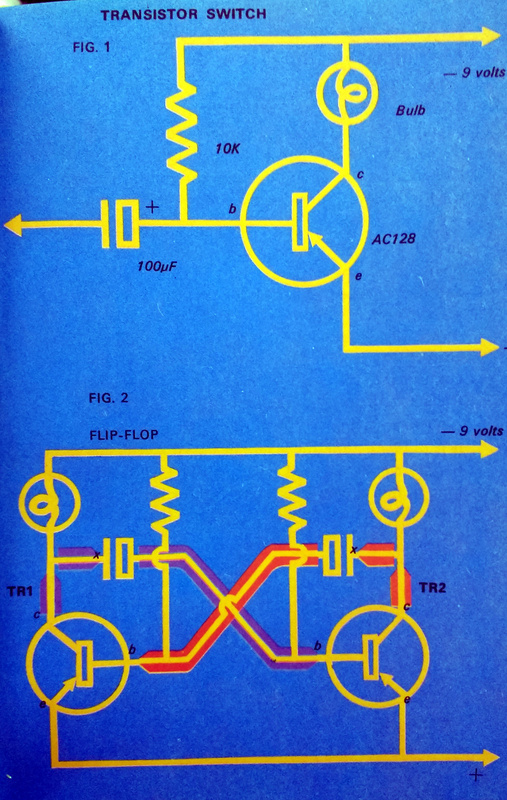 Luckily, [Ray] published an illustrated guide on building multivibrator circuits. 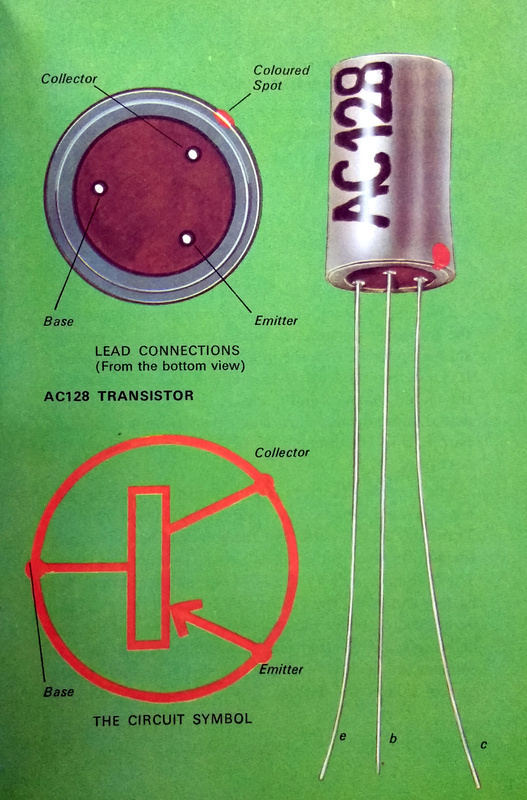 This is a simple method of assembling a two-output oscillator. 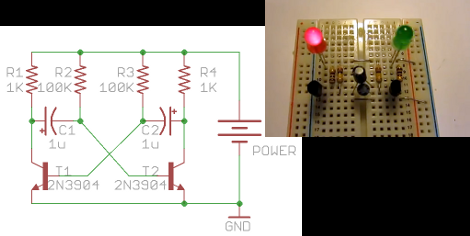 All it takes is a pair of NPN transistors, which are then switched by on and off based on a resistor-capacitor (RC) timer. [Ray] does a good job of walking us through how the circuit works at each stage of one complete cycle. 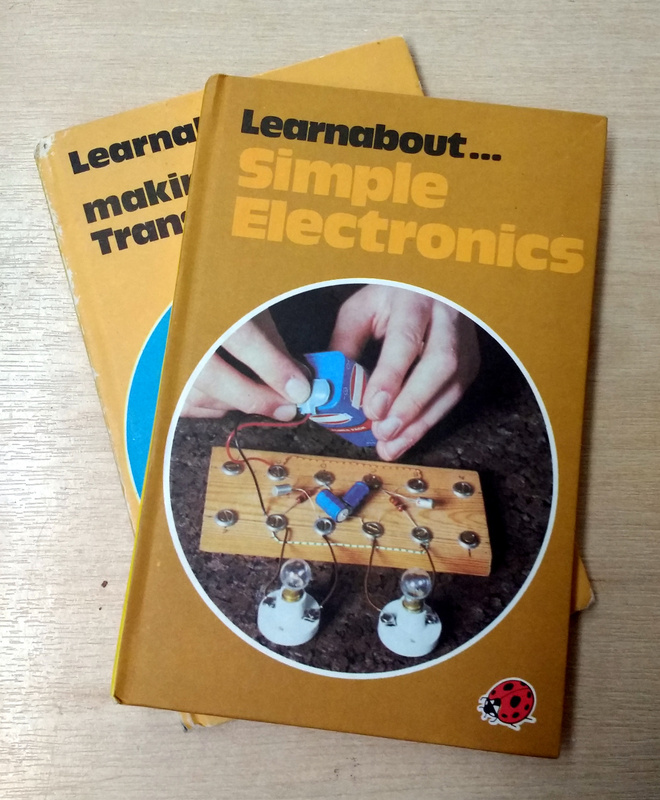 You’ll need to read carefully, but the supplementary schematics he uses to water down snap shots of the various electrical states really helped us understand. 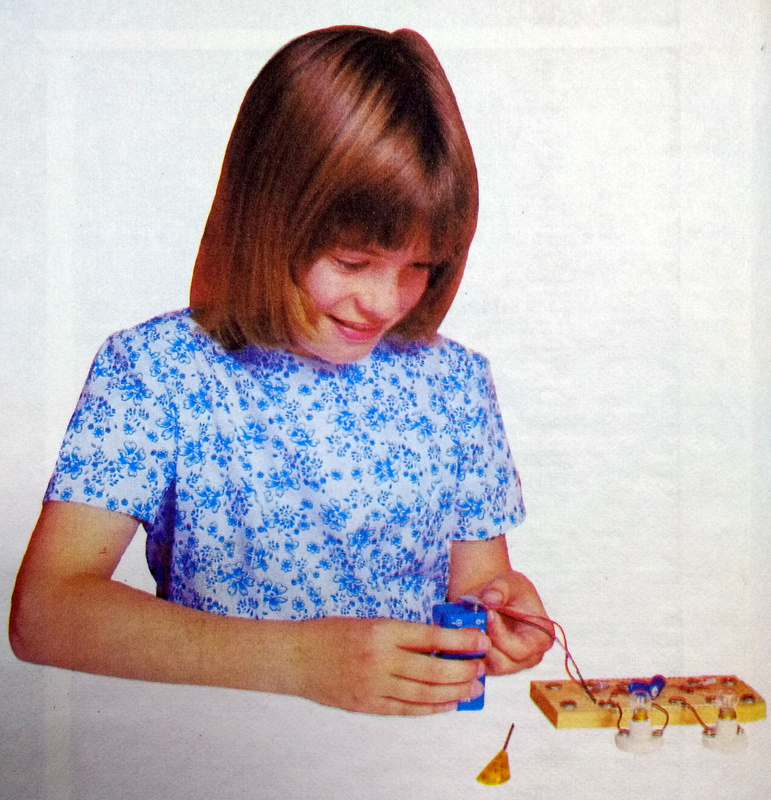 Of course, blinking LEDs isn’t the sole purpose of a multivibrator. It is a method of producing a clean square wave which can be used as a clock signal for TTL logic chips. Oh, who are we kidding, see the blinky goodness for yourself in the video after the break.